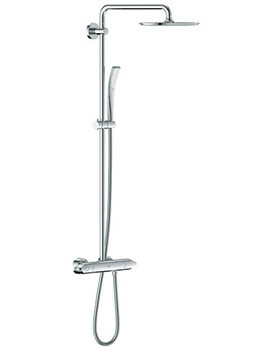 Grohe Spa introduces modern fashion statement with its Rainshower series of products. The award-winning merchandise provides a fresh interface to water by enhancing the volume itself. Unwind after a tedious day or brighten up your mornings with the full spray of the shower nozzles that are perfectly aligned to serve the purpose. 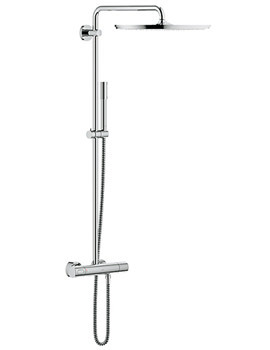 Featuring a multitude of styles and sizes, the range has something for every bathroom, spa-area or shower enclosure. Starlight, a special chrome finish, imparts splendid charm, while the integrated DreamSpray technology ensures a voluminous, powerful stream of water. The assortment incorporates SpeedClean nozzles, which makes the stunning masterpieces remain endearing for years to come. Grohe Spa Power and Soul range of shower accessories with integrated innovative spray patterns deliver sensational pleasures. Each of the fixtures has been created with utmost care to cater your needs and match your decor. 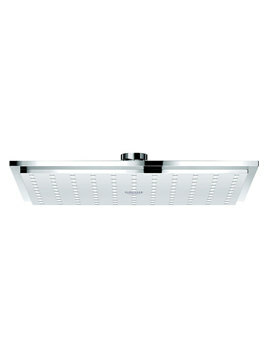 The cosmopolitan design makes the complete range is an ideal choice for urban bathrooms. Brilliant use of flat, cylindrical forms with intricate detailing exudes modern appeal. 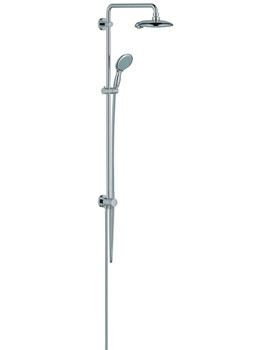 The slide rail kits, hand showers, bath shower sets, and shower systems are complemented with diverters or handsets offering absolute convenience.